Tired of those drafty old windows and spending your hard-earned dollars on high utility bills? If your home is in Allentown, Palmerton, Bethlehem or anywhere in the Lehigh Valley, you have experts on your side. The professionals of Renewal by Andersen of Northeast PA are ready, willing and able to help you with all your window and door replacement needs. Each unit we install is custom-made and custom-fit to your home, so you can be confident it will perform to the high standards of Renewal by Andersen®. Renewal by Andersen of Northeast PA is a locally-owned and -operated, authorized affiliate of Renewal by Andersen Corporation, the replacement window division of Andersen Corporation. 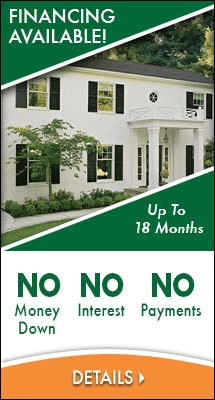 We understand the importance of your window and door investment. We offer the following advantages that will help with your decision and make the entire experience enjoyable and rewarding. Beauty. With Renewal by Andersen windows and doors, performance and beauty go hand in hand. We want your home to look great, and can help you select replacement window and door styles that will enhance your home and provide the best financial returns. Efficiency. Enjoy a vast difference in the comfort of your Allentown home due to value-added features such as High-Performance™ Low E-4® Smart Sun™ glass and ultra-strong Fibrex® composite frames. Brand. If you later decide to sell your home, products with the Renewal by Andersen name have a transferable warranty that is a great selling point for potential buyers. When an Renewal by Andersen of Northeast PA installation crew arrives at your home, rest assured your home will be cared for by the best in the industry. Our master installers must demonstrate both experience and industry knowledge, with thousands of Allentown windows replaced during their career. Ongoing training ensures our installation experts remain at the top of the industry. Renewal by Andersen of Northeast PA looks forward to delighting you with expert installation of quality Renewal by Andersen products in Allentown, Bethlehem, Fogelsville, Lehighton or surrounding communities. Call (610) 355-4055 today to schedule an in-home consultation for Allentown replacement doors and windows!